Construction History in Belgium (2004-2014). 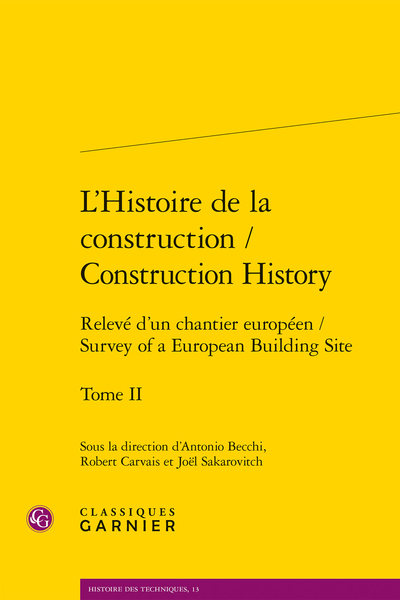 The study of the history of construction in Portugal. Building Themes in Construction History. Construction History in Architectural Conservation. The Finances of the Carpenter in England, 1660-1710. From Craft to Qualified Building Labour in Britain. From Stories to History, from History to Histories. Notes on compiling my book. La Arqueología de la Construcción. L’Histoire de la construction en Espagne. Building Contractors in late Nineteenth-century Belgium. Looking for an Equilibrium Point. The first history of construction?